Every cuisine has its own style of dips. But one thing is common to all that they are highly flavorful. And they really add a great value to the main dish. 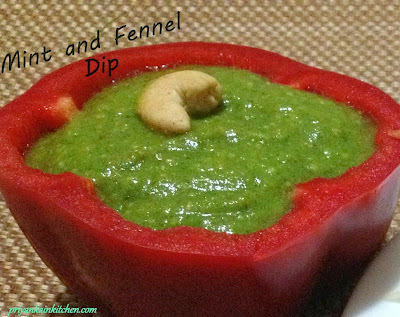 Mint is very commonly used in various dips but its combination with fennel gives a very unique flavor. 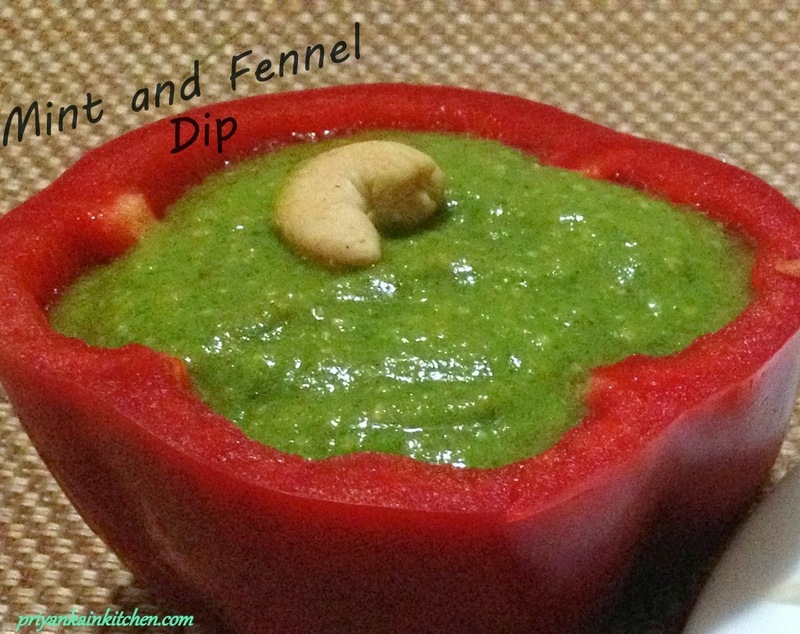 This dip can be served with any Indian starter, fritters or main meal. Lightly roast fennel seeds and let them cool down. Grind them to powder. In a grinder, add diced mango, mint, ground fennel, chilies and salt. Grind to a smooth paste using as little water as you can. Adjust consistency by adding water while serving.